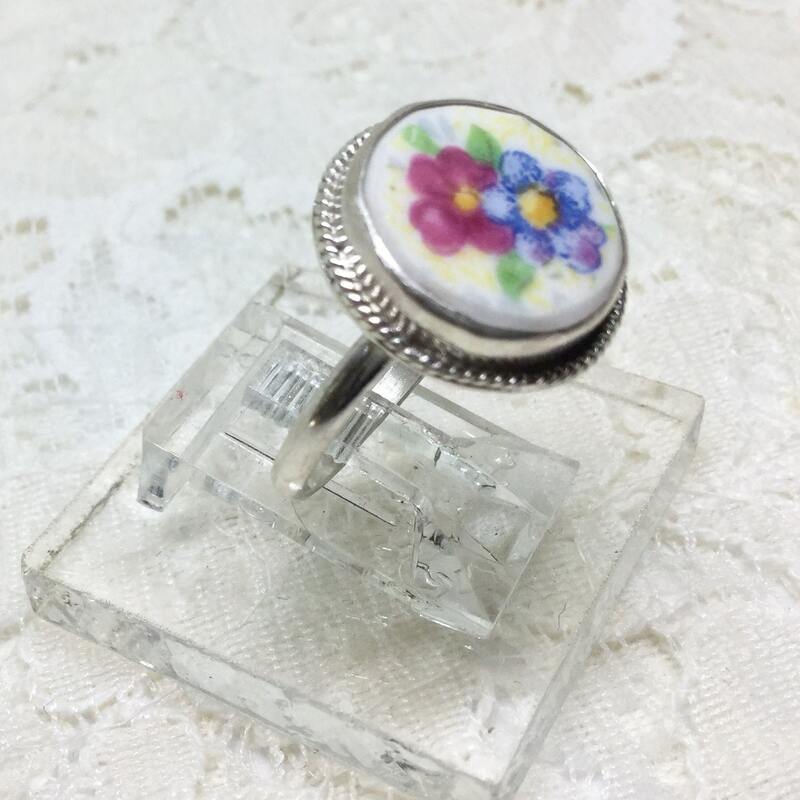 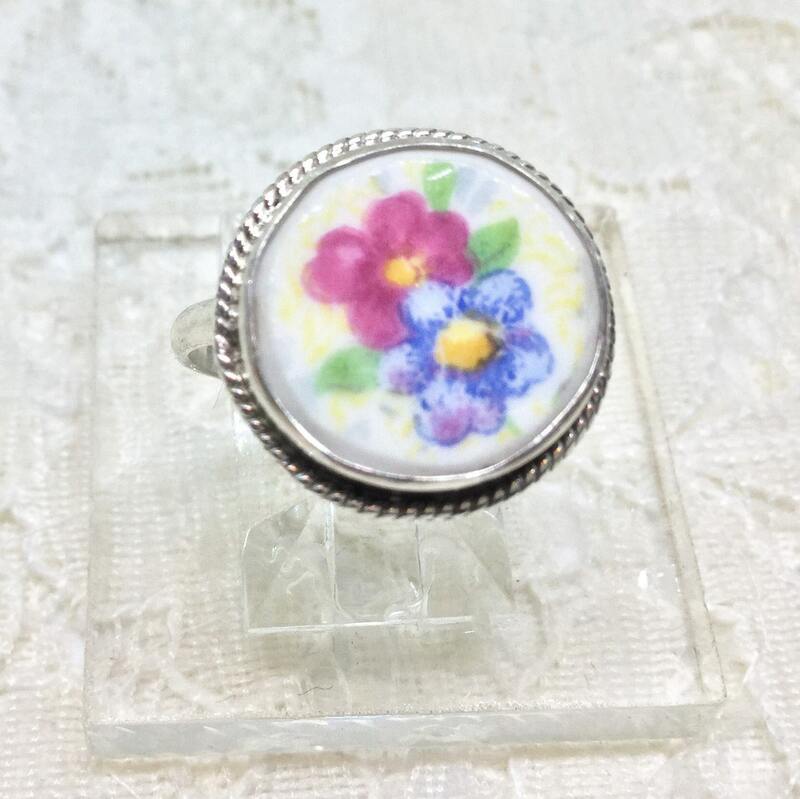 This is a sweet handcrafted Broken China ring with a red and blue flower against a creamy white background. 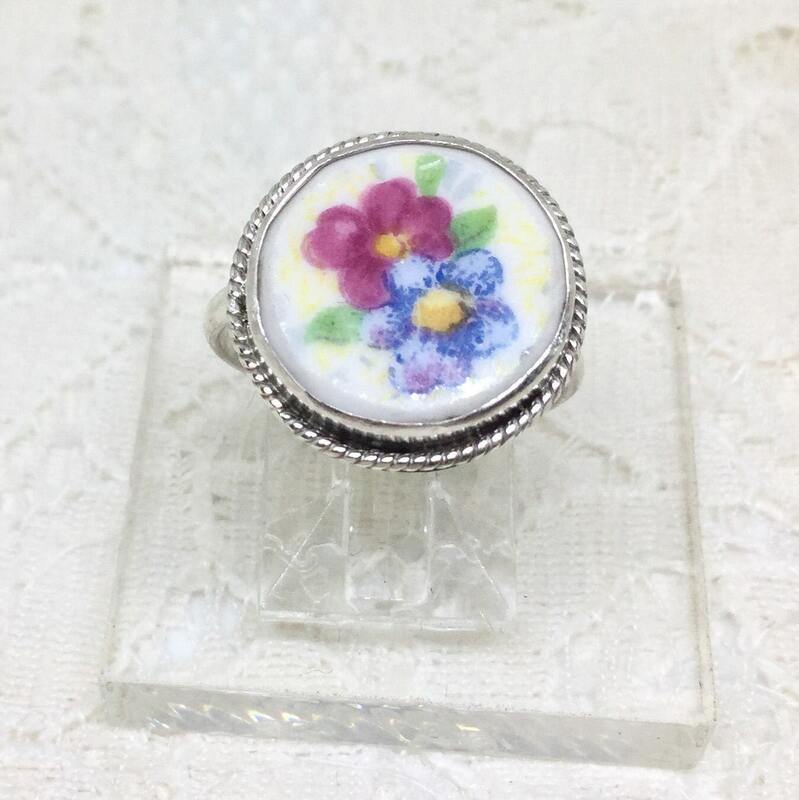 The round shape measures approximately 5/8" across. 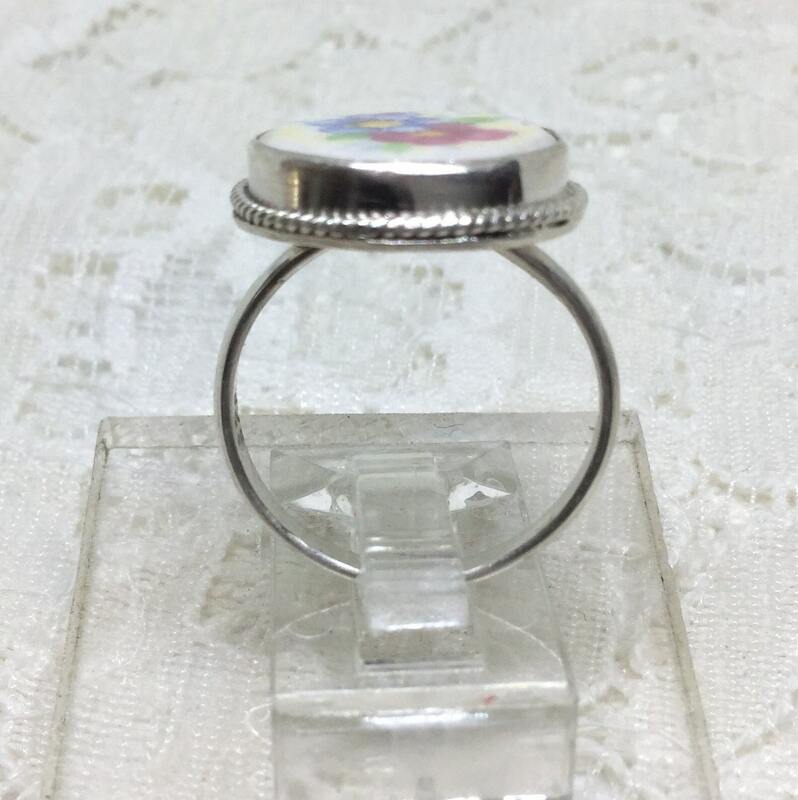 The setting is handcrafted of Sterling Silver and is a size 7. 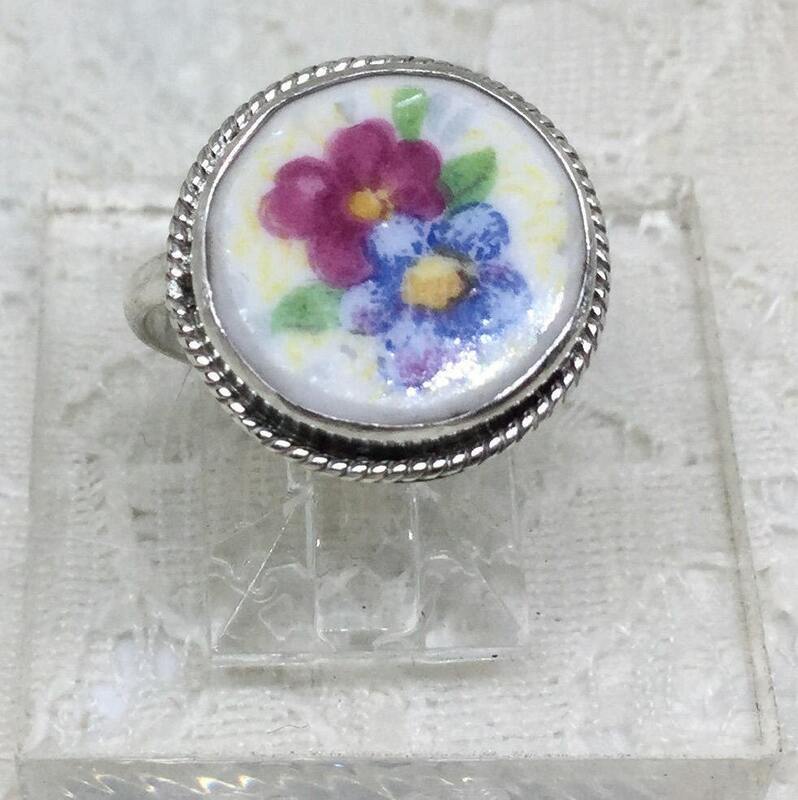 This ring can be resized if needed....free of charge.....just let us know when you order it what size you need!